Our smallest 2.4GHz receiver, the Graupner GR-12 SC/ZH+ is a micro, 6 Channel receiver. It is extremely lightweight – only 1.6 g – and its tiny footprint lends itself very well for small indoor flyers or micro flyer. 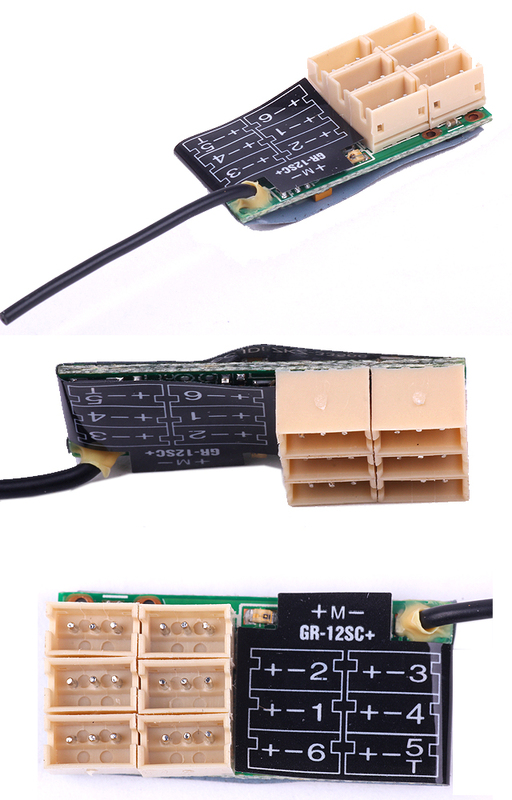 The ultra-low voltage requirements – as low as 2.5 V – allows the GR-12 SC/ZH+ to operate on a single-cell LiPo making ideal for lightweight setups. This version, however, has an increased sensitivity input, increasing its operational range even further. The GR-12 SC/ZH+ can provide a digital SUMH signal on channel 6 as well as direct motor control of a brushed motor (Max 2A) on channel 1. Like all Graupner HoTT receivers the GR-12 SC/ZH+ provides telemetry data like temperatures, receiver voltage and signal strength, giving you the information you need for a safe and secure flight. Comes equipped with SC and ZH connectors.